A post discovered on Weibo (via Twitter tipster Ice universe) allegedly reveals a screen protector for the Samsung Galaxy S10+. The accessory includes two cutouts in the upper right corner to match the in-screen camera sensors for the phone's Infinity-O display. The bezels are thinner than seen on last year's model, and the top bezel has a cut out for the speaker. The phone will also feature curved edges. 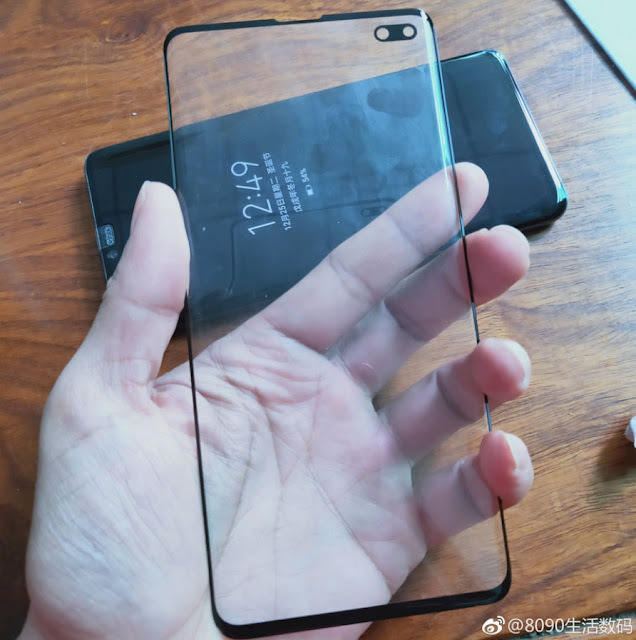 In addition, the same Weibo page shows images comparing the bezels on the Galaxy S10+ screen protector with the bezels found on the Huawei Mate 20 Pro and the Apple iPhone X. Back in October, there was talk that the Galaxy S10+ will carry a screen-to-body ratio of 93.4%. That compares with the 83.7% on the Galaxy S9+, 84.3% ratio on the iPhone XS Max, and the 87.8% screen-to-body-ratio of the Mate 20 Pro. 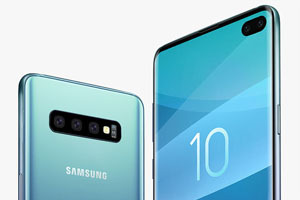 A browser benchmark test also provided data indicating that the Galaxy S10+ will feature thin bezels and a 19:9 aspect ratio. The Samsung Galaxy S10+, and the Galaxy S10, are both expected to be introduced during a Samsung new product event on February 20th. Traditionally, Samsung introduces the latest Galaxy S handsets just prior to the opening of the Mobile World Congress trade show in Barcelona. In 2019, MWC will run from February 25th to February 28th. Check out the images of the alleged Galaxy S10+ and comparisons with the Mate 20 Pro and iPhone X by tapping on the slideshow below.